Following Document Is A Draft Translation And Has Scanning Errors. Please Feel Free To Submit Your Corrections For Publication Here . . . Since its founding in 1890, the Armenian Revolutionary Federation TION DACHNAGTSOUTIOUN has deeply marked the history said the Armenian people. The twentieth century was the Renaissance intellectual, moral and political life of Armenian people which includes awareness of its existence as a nation. The creation of the F.R.A.D. was the concrete realization of the new humanitarian and national aspirations of the Armenian people. Found its essence in the working masses, the FRAD recruit the majority of its members from among the category of rabbits disadvantaged as a people oppressed by the tyranny of the Sultan by the power of money. Quite naturally it will adhere to principles of socialism to which it has always remained faithful. From its first breath, she had continued to struggle to materialize the legitimate aspirations of the Armenian people to live free and fair. Its glorious Fédaïs write their blood some of the most beautiful pages of our history. On 28 May 1918, F.R.A.D. will have the honor to lead VArménie independently. It will execute its program of socialist government. Armenia, therefore, will be the first country in the world with a government and a socialist program. Although the existence of the independent Armenia was short, it is nonetheless one of the most solemn and imposing a history of three thousand. Today in the diaspora, the FRAD, continues its work of propaganda and education of the Armenian mass. His contribution to the preservation of Armenian identity and the idea of struggle for freedom is important. Because the fight is not over. It continues and the flame of the revolution is called DACHNAGTSOUTIOUN that one day in 1890, illuminated the sky of Armenia, the flame of the revolution that has engulfed the whole country and restored hope and confidence to a people 's turn off when the people can live, grow, grow freely on his ancestral soil. We hope this booklet will help the reader, whether Armenian or not, a first approach or a better understanding of past and present of a party that devotes all its energy and forces to prepare for the future of the Armenian people . In the nineteenth century, the Armenians, like all Christian subjects of the Ottoman Empire had become intolerable. The Armenian population was largely composed mainly of artisans and farmers whose condition was reminiscent of the serfs. However, a large middle class (the Amira) existed at Constan-tinople and seriousness into the entourage of the Sultan. Some of its members held important posts in administration. It was that a tiny minority. The vast majority of the people bow beneath the tyranny of the Sultan. The Armenian peasant suffered a real economic oppression on which it was impossible to escape. It was malleable and taillable to thank you, constantly paying taxes to the government and its representatives, and heads of tribes Kurds counting. It had no legal protection. If he refused to pay, he loses his land and often their lives. Moreover, in disputes and conflicts between Christians and Muslims. Christians, seen as infidel had no chance to get right. It was the court of the cadi or musselim which considered according to the Koran, on behalf of Commander of the Faithful, ie the Caliph. The testimony of a Christian there was hardly ever allowed against a Muslim. The Believer was always right, always wrong the infidel. In fact, the Sultan had little control over its subjects. The administrative system of Turkey based on greed and corruption. It was the most complete anarchy and the empire was in full decadence. It was under pressure from major powers who wanted to improve the situation of the Empire and protect Christian subjects that was enacted in 1839 the Hatti Cherif which inaugurated the era of Tanzimat and promised security for all subjects of the Empire any religion or race they were. The Hatti Houmeyoun, firman issued in 1856 under the same conditions as it went further promised freedom, equality and the abolition of the capitation tax on all Christian subjects of the Empire. In 1863, the Armenian National Constitution approved by the Turkish government should have allowed the Armenians to obtain a certain autonomy. In reality, it was nothing. All provisions and reforms promises remained unfulfilled. Tyranny, persecution, anarchy continued unabated. Under these conditions, the oppressed peoples revolted and, one by one, the Balkan nations of the Ottoman Empire gained their independence. Armenians, too, does not remain inactive. They revolted in Van in 1862 and especially in Zeitoun in 1863 when the uprising of brave mountaineers zeïtouniotes took on the appearance of insurrection. The repression that followed was without mercy. It took the intervention of Napoleon III to stop. In 1877 a war broke out between Russia and Turkey was forced to open negotiations of a treaty was signed between the two parties on 3 March 1878 at San Stefano. Article 16 of the Treaty stipulated that reforms should be undertaken in the Armenian provinces of the Empire, during the stay of occupation troops. However, Turkey, with the support of England, which obtained for the price of his assistance, the island of Cyprus, managed to convince Russia to amend certain clauses of the treaty. Thus, on 13 July 1878, Article 16 becomes Article 61 and that the implementation of the reforms produced after the departure of Russian troops. Once the Russians left, no reform was implemented and oppression reparut more forcefully. Turkish leaders saw in particular. Armenians in a threat to the integrity of the Empire. Any Turkish politics from 1878 was dominated by the plan to destroy the foundations of a future Armenian autonomy by artificially diminishing the size of the Armenian element in order to transform the Armenians a minority in the foyer of race. Thus there was a new division of the territories of Armenia and the Turkish government tribes prompted the Kurds to move and settle in the territories of Armenia. Then, the Turkish government training regiments "Hamidi" where Kurds and mix all kinds of bandits who were sowing terror and brutality while being protected by law. In time, the Sultan felt that ultimately the best way to solve the problem of the Armenians was to remove them. Thus, 300,000 Armenians perished from 1894 to 1896. The nineteenth century was marked by the Armenian national awakening. The addition of cultural and political development of relations between West and East were at the origin. The invasion in 1828. a part of Armenia by Russia Persia Christian was a factor of economic and intellectual progress for the Armenian population, car. for several decades, the Czar showed a fairly broad tolerance vis-à-vis its Armenian subjects. The Armenian Church and in particular the order of Mekhitar played an important role in the revival of intellectual people. The literature also took a big boom. Let Khatchadour Abovian who read the first author who abandoned the classical Armenian Armenian modern. Brochian. Mikaël Nalbandlan, poet Kamar Katiba especially Raffi. Many young Armenians traveled to Europe to continue their studies. They return earned by the new ideas relating to equality, justice and freedom for all men. The French Revolution of 1848 had particularly aware many of these young people. Developed alongside a major press should hold a place in this revival. Include MECHAG (worker) of Grégoire Ardzrouni the AlGLE and VASPOURAKAN OF THE EAGLE TARON the future Catholicos Khrlmian Hairik who read the real spiritual leader of the Armenian nation. These centers became the home of the Armenian thought. They were the places where the idea of raising the Armenian nation body was then spread throughout the nation. Patriotic organizations began to form, especially on the initiative of Meguerditch PORTOUKALIAN who formed many revolutionaries. It is in the Vaspourakan that there emerged the first fédais (sacrificed), which became legendary heroes. Fedai was the gift of his life he put at the service of his people. In the provinces of Armenia were formed gradually armed forces prepared for the insurgency, including Van and Garln. The largest of these groups that preceded the revolution was initiated at GARIN (Erzerum) in 1880. The members of the secret society of Garin, bound by oath, was recruited from all segments of the population. This organization was destroyed in 1882. Other patriotic organizations will come, and we felt the need to organize the revolution. In 1885. Van is created the first Armenian political party, the Parti Arménakan. In 1887 in Geneva created the Social Democratic Party which was to play Hintchak, until 1900 a very active revolutionary. As a result of some failures, many Hintchakistes who joined the ranks of the FRA Dachnagtsoutioun. The Armenian Revolutionary Federation DACHNAGSOUTIOUN was founded in Tbilisi in 1890. It consisted of non-socialist revolutionary and socialist revolutionary. Senior party Hintchak participated in preliminary discussions, the creation of this new party whose founders were Christopor Ml-KAELIAN. Simon Zavarian and Ste-phan ROSTOM Zorian said. In its manifesto, the party-DACH NAGTSOUTIOUN expressed support for the continuation of a people's war against the Turkish government, knowing she had little chance to succeed without a political and financial support. Soon, the ideological differences are evident in the FRAD The hintchakistes separated. A group of F.R.A.D. Tabriz called for summer 1892, the First Party Congress that. meeting in Tbilisi, which is drafting the charter, the socio-political creed of the FRAD His program. Deeply socialist, he insisted the class struggle and denounced the conditions of exploitation by the Ottoman government not only Armenians, but Arabs, Turks, Yezidis and Kurds. In fact, it should be noted that at the beginning of its existence, the FRAD was asking for the independence or even autonomy, but only the implementation of the reforms promised at the Treaty of Berlin in 1878. It does not renounce the armed struggle but intends to prepare and not to strike again. Until 1896, the Labor Party structure. establish and make propaganda among the Armenian people. In 1891 was founded the newspaper in Tbilisi DROCHAG (Flag) will be the official organ of the Party until 1914. The massacres perpetrated by the Red Sultan, Abdul Hamid from 1894 to 1896 and that 300,000 victims were Armenian put the FRAD under an obligation to undertake its first military action annuities: the capture of the Ottoman Bank in Constantinople nople. In order to remove the western nations of their indifference and encourage them to put pressure on the Sultan to stop the massacres, twenty-six of the FRAD revolutionaries, led by Papken Suni who killed, captured, August 26 1896. of the Ottoman Bank, the principal financial institution in the East West. Following the event, the Russians are engaged in military preparations, because they were convinced that the Armenian revolutionaries would undertake further terrorist actions which would lead the Ottoman Empire to the disaster. Wanting to precede the intervention of other powers, the Russians were preparing to invade Turkey: Sultan, made aware of these preparations, was afraid and ordered the cessation of massacres. Now, armed struggle would intensify. The killings had led many Armenians to win the ranks of revolutionary organizations. The F.R.A.D. Fédaïs and would fight on several fronts to ensure that won the just cause of the Armenian people. Among the most famous of these heroes are: ANTRANIK, Nigol Toumani, KERI. SEROP AGHPUR, MOURAD, KHAN. Hrair, Kevork TCHAVOUCH and many others. The revolutionary movement was taken as the motto inscribed on its flag: "Freedom or Death." The first major action was specifically organized to KHANASSOR punitive expedition which took place in July 1897. At the head of 300 Fédaïs. Nigol Touman, Vartan and Ichkhan taillèrent parts of the Kurdish tribe leader Charraf who was responsible for the massacre of a large number of Armenians in 1896. This top is celebrated annually in July in the diaspora, symbolized the desire of the Armenian people and the FRAD now to fight by all means the oppressor and return blow for blow. Many other punitive actions should follow, with the target or the Turks. or the Kurds. In 1901. Antranik and his men besieged in the monastery of Arak-lotz. resisted for 19 days to Turkish troops, then frayèrent a path through enemy lines and won the mountains. It was in 1904 that took place the most important event: the uprising Sassoun who took the character of a real military operation. The elite fighters led by Armenian Antranik resisted during the months of March and April to 13 Turkish battalions supported by thousands of Kurds. This event Sassoun had a huge influence on the spirit of the Armenian people. Indeed, if the following year, the Armenians of Transcaucasia knew how to deal with Tatars, because they were drawn in this great example of self-confidence that had hitherto failed. In 1900. at the initiative of the F.R.A.D.. France was created in the body-PRO AR MENIA. whose editorial board was composed of Clemenceau. Anatole France. Jean Jaurès. Francis de Pressensé: under the leadership of its editor. Pierre Ouillard, PRO ARMENIA tirelessly advocated the Armenian Cause. In 1903 the Tsar Nicolas II promulgated an imperial decree on confiscation of property of the Armenian Church. It was in fact a policy of Russification. Armenian revolutionaries, mainly represented by the FRAD is rangèrent alongside the Church and organized a heroic resistance. In 1905. Tzar threw the tapes tata-res fanatisées against Armenians. These were rejected and recorded many losses. Finally. Armenian Church covered all its property. In 1906-1907. revolutionaries of F.R.A.D. participated actively in the Persian revolution that sought to impose a liberal constitution Shah. It was through the intervention of the F.R.A.D. that this revolution succeeds. As a result of this action, Baron NOLD. spokesperson for the Russian revolutionary, was able to cry out to the Legislature (Duma Russian): | There is a need, annihilate this powerful organization to fight both on three fronts and supplies revolutionary movements in three empires " . After in 1892 presented a first draft to the Congress of the Socialist International in London, the FRAD decided in 1907 at its congress in Vienna, to join the Socialist International. In his report to the latter, it reports the following figures it consisted of 165,000 members (out of a total population of 4,100,000 Armenians) divided into professional groups (the FRAD created many powerful trade unions), and agricultural policies, the number 700 in Turkey, 270 in Tbilisi. 265 to Baku, Yerevan 540. 90 Persia. 50 in the Balkans, 50 in U.S.A.
Its budget was as follows: 35% for arming the people, 30% for revolutionary action and policy, 20% for propaganda and literature, 10% for the organization and 5% for expenses. It was during this Congress of Vienna that the FRAD decided to collaborate with the movement of Young Turks, then led by liberal elements and whose agenda was to liberate the people of Turkish oppression of the Sultan and promised equality for all subjects of the Empire. Also F.R.A.D. aida Does Young Turks take power and maintain it in 1909, during the attack against the Sultan, who was deposed. However, the Liberals were quickly destroyed and the Young Turks came to national policy, chauvinistic and racist who looked significantly to the Sultan and should lead to the tragedy of the genocide of 1915. In 1908, the policy of Russification resumed in Russian Armenia. Many Armenian patriots were arrested. The government Tzarist organize, under the pretext of an imaginary conspiracy, a big show of DACHNAGTSOUTIOUN. The trial will take place in 1912 in Saint Petersburg. 146 activists of the F.R.A.D. will be judged, among which 52 will be sentenced to imprisonment. In 1914 broke the first world war. Young Turks, then head of the country, tried to enlist the support of Armenians by asking them to trigger an uprising in the southern Caucasus in Armenia or Russian, promising them after the war, an autonomous system for Armenia Russian and neighboring regions of Turkish Armenia. Congress met in Erzerum. the leaders of the F.R.A.D. delayed tenders and said that if the Turkish war between Russia and Turkey, the Armenians would fulfill their duties as soldiers in their respective states. composed of revolutionaries of all stripes, united by a single link: the defense of the Armenian people against the Turkish oppressor. The new Federation had not in 1890, political ideals, or well-defined statutes. However, the Armenian Revolutionary Federation had accepted the principle of centralization and the island elected a Steering Committee whose members were: Christapor Mikaelian, Simon Zavarian, Hovannés Loris-Melikian, Abraham Taslaguian and Levon Sarkissian. "For the liberation of the Armenian people. "Let us people who waved the flag of freedom. "Whoever himself of the people is an enemy ... "
• Keune us, Armenians, and with courage, let us move our holy cause of liberation. " It can be said, quoting a phrase from the editorial of the first issue tle Drochag that "the FRA is the spirit and righteous protest of the Armenian people. " 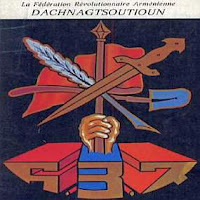 The Armenian Revolutionary Federation Dachnagtsoutioun as Socialist Revolutionary Party, tends to protect the interests or economic. is political and national mass-, workers of the Armenian people, in offering to make the people masters of government to replace the monarchy by a large dénun ratie and replace capitalism with the socialization of the means of production. • political and economic freedom based on local autonomy and federal links, as part of the Ottoman Empire. finance, customs, posts and telegraphs, railroads, leaving the wall-s fondions from the state to local districts alone. • The Caucasus, Democratic Republic, is an integral part of the Russian Federation is a Republican, it is related to the latter by the defense community of the State, the monetary system, by Customs and foreign policy. • The Republic transcaucasiemie is independent in its internal affairs, and has its central parliament elected by popular vote system uui Ersel, equal, direct, secret and professional. Every citizen over the age of 20 years, irrespective of gender, has the right of election. • The Caucasus Parliament déligue all Russia's disowned, '! s as elected by the same system of universal suffrage. • Freedom of conscience, speech, press, assembly, association and strikes. • Separation of Church and State. • Inviolability of the individual, home and correspondence. • l.iherie travel: abolition of the requirement of the passport. • Socialization of the earth. • The land must cease to be a particular property, and alienable. • Transformation in collective ownership of all lands belonging to the crown, the major owners and cultural institutions. • The right to exploit land belongs te -mx workers each, under the principle of work, has the right to cultivate as much land it can, years to exploit others, to provide for the need-, family . • progressive tax on revetiu and estates. Relief from tax on income below the minimum of existence. • Day of eight hours for workers in cities and rural areas; shortest day yet for the anti-hygiiniques or dangerous. • Setting a minimum wage in cities and villages. • Legislative protection work in accordance with the requirements of science; abolition of night work (except for work with technical support not read no interruption). • Removal of night work - without exception - for women and children. Women should stop working six weeks before and after childbirth. Prohibition of work for children under the age of 15 years and limiting the work 6 hours per day for children aged 15 to 18 years. Removal of overtime work island. Ban to reduce wages in the form of fines. • Weekly rest. Unemployed Muslims their four weekly rest. • Election of the management of factories by workers. Participation of workers in the administration of the factories. • The insurance of workers against accidents, sickness, old age and unemployment at the expense of the State and employers. • free medical treatment, free advice for business techniques. ANTRANIK. whose real name Antranik Ozanian (Chabbin - Karahissar 1866-Fresno 1927) proved to Sassoun in 1904 by taking the head of the uprising of the population, with beside him prestigious leaders of the Armenian revolution, the orders which he served a few years before. Of hard and strong character, excellent military strategist and a man of great bravery, he became one of the most popular figures in our history. He commanded a battalion of volunteers during the Balkan war in 1912 and another during the Great War until 1916. It is based in Paris at Père Lachaise. under the equestrian statue erected by national subscription. Aram ARAMIAN (Erzerum 1870 - id 1890). Member of Dachnagtsoutioun in the early hours of its creation, it was a revolutionary active and independent. until sacrifice in its methods of action, he presented unsuccessfully to the first Party Congress in 1892. Disgraced for having killed a traitor without the Central office, he was pardoned three years later to continue its subversive activities in the region of passen. But stopped in July 1896 he was sentenced to death and hanged. Saténik ARGOUTIAN. born Madinian [Alexandrapol 1874 - Paris 1930) used long Dachnagtsoutioun Party of which she was a founder with two other members of his family in Persia under the name Dzarik. as a teacher. It forms in particular sections of Tabriz and Salmasde. Spouse of no less famous fighter Hovsep Argoutian (1865-1925), the second in the various responsibilities he held since the beginning of this century, both during the war in Armenia free. box to try to liberate the Armenian people in Turkey (23-26 September 1890). His name will remain for ever attached to this operation, which was at the time the first major attempt of this kind. Convicted and deported to Siberia for twenty years. he continues to fight his release within the party Dachnagsou-tioun. but it was again arrested and died in their cells. origins of the uprising of the Armenian people, which he was one of the most respected. His record of service began by including the dispatch of Gougounian and continued until his participation in the Persian Revolution under the command of Yéprèm, whom he succeeded in 1912. He was killed at the battle of Revandouz. he directed at the head of IV * battalion of volunteers. Hrair-TEJORK. whose real name Armenakis Ghazarian (Aharonk region of Sassoun 1866 - Sassoun 1904) remains one of the most popular in the Armenian revolution. through natural human qualities that have led to a work location for the Dach-nagtsoutioun in certain regions of the Caucasus or the recruitment of young fighters, many of which quickly became the leaders confirmed. Hero of uprisings Sassoun 1894 (then as a member of the Party Hintchak) and 1904. he was fatally wounded during the April 12 1904. Christapor MIKAELIAN (High Akoulis region Korten 1859 - Vidoch. Bulgaria in 1905) began modestly in both Armenian national awakening in the Caucasus, after the closure of the Armenian schools in 1884, to Moscow in student movements. In the Dachnagtsoutioun. he became the most active officer, he defined the structure and statutes of the Party and has always given him the revolutionary spirit of his recommended often by taking the lead: the creation of the terrorist group "Potorik • (1901). preparation of an attack against the Sultan, the propaganda of the Armenian Question in Europe meetings (1898-1904). He died also experiencing explosive which was Yeld to assassinate the Sultan Abdul Hamid II. Author of several treaties and political essays, he led the drafting of "Drochag. official organ of the F.R.A.D. Sérop AGHPUR. whose real name is-rop Vartanian (Sokhort. region Akhlat 1864 - Sassoun 1899) came relatively late in the armed struggle for the emancipation of the Armenian people under the leadership of Hrair, organizing the defense of his hometown during the massacres of 1895-1896 and the population against a possible Turkish attack. He was authoritative and respected leader of a group of men who have become famous in the future. Terminated, he was arrested, beheaded and his head set by the enemy as a sign of victory. Kevork TCHAVOUCH. whose real name Kevork Aramian (Mekdink, Daron region around 1870 - Souloukh 1907) is intended to take the habit when he took the knowledge of Arapo and patriotic ideas. First, under the banner of the Party Hintchak then under that of the FRA Dachnagtsoutioun, he distinguished himself in several conflicts that faced the Armenians to the Turks or the Kurds, including Sassoun in 1894 and 1904. From that date, his group, ranging from success to success, became a fear to the opponent. He was mortally wounded in a clash with the enemy to Souloukh. Soghomon TEHLIRIAN (Pakaritj. region Gamakh 1896 - San Francisco 1960), terrorism, fought alongside the Antranik 1 "battalion of Armenian volunteers (1914-1916). When he learned of the tragedy that struck in 1915 his heavily family. Placé available to the Party Dachnagtsoutioun to punish the Turkish Genocide, destroy the former Minister Talaat. in Berlin in 1921. Acquitted, he will live now under the name of Saro Melikian. Nigol TOUMANI. whose real name Nigorayos Der Hovannessian (Rech-lakh. province Karapagh 1867 Baku-1914) led a turbulent life by taking part in the most revolutionary of the highlights in the history of contemporary Armenia. He made his debut before the creation of movements. within groups located patriotic. At the origin of the shipment of Khanassor against an enemy tribe and close associate of Christapor Mikaelian in the actions of "Poto-rik>. he worked long time in Iran for the establishment of the particular structure of the new Constitution. Sick, he died in despair no longer able to serve his people. On the eve of World War I, Armenians could think ahead a little more confidence with the proposed reforms imposed by Russia. England and France. Unfortunately, only the Inspector General Norwegian Hoff he joined his post to Van that the Turkish government had rejected it out of Turkey. Indeed. World War I had just burst. Taking advantage of the state of war, Turkish leaders resolved to settle the Armenian question by the removal of Armenians. Early in 1915, the Armenian intellectual elite was arrested and murdered. It was the same for the Armenians recruited in the Turkish army and who had loyally done their duty on the front of the Caucasus. Then came the mass deportation of the population. Deportation whose final stage was the destruction in the deserts of Mesopotamia. Yet wherever they could, the Armenians resisted heroically (Van. Chabin-Karahissar. Sassoun, Moussa Dagh ...). However, Armenians also participated in the First World War. At the beginning of the war. 60,000 Armenians were called up for military service in Turkey and 120,000 in Russia. In France, from the earliest days, the Armenian volunteers enlisted in the French army. Besides the Armenians serving in the Russian units, six battalions of volunteers were trained under the command of Antranik. Tro, Hamazasp, Keri. Vartan and Prince Argoutian. These Armenians of Russia came to join many Armenians fleeing from massacres in Turkey. Later. In 1917. the French government created the Armenian Legion, which could join the allied armies in Mesopotamia and Palestine. In the last years of the war, an army s Armenian was created on all fronts and this army was soon to continue the struggle to restore its place in Armenia among free peoples. After the October Revolution in 1917. parties Moussavat (Azerbeidjan). Social Democratic Party (Georgia) and F.R.A.D. refused to join the new Communist regime and formed a provisional government of Transcaucasia (the Seym). This government soon broke Transcaucasian and Armenia was proclaimed independent on 28 May 1918. A government majority Dachnagtsagane had to cope with the outside against the Turkish armies, and within, against famine and epidemics. The Armenian State, which has however survived all these difficulties began to organize and Armenia tried to turn into a socialist and democratic Republic. An extremely advanced for its time was established. Under the Treaty of Sèvres (10 August 1920), the Armenians would have expected to see an end to their woes. But the nationalist movement of Mustafa Kemal, with the help of the Bolsheviks, would reverse the situation. The common element in Transcaucasia attempted insurrection in 1920 badly, Insurrection, which was repressed by the government Dachnagtsagan. On 13 September 1920. Turks, greeted by a revolutionary committee • "Armenian communists attacked Armenia. After the fall of Alexandropol Kars and the Armenian Republic was obliged to negotiate and. December 2 1920 was signed the Treaty of Alexandropol. On the same day. Armenia was occupied by the Red Army. After two and a half months of Soviet oppression (imprisonment and murder of several thousand officers and intellectuals Armenians), Armenian people, exasperated by this dictatorial policy, was lifted on 18 February 1921 and drove the Red Army out of country. Armenian political parties read destined to lead a Committee of Public Hi. But on 2 April 1921, the Red Army finally came to Yerevan. At the flax of the year 1922, during a working session at the League of Nations, the delegation managed to gain acceptance by the Allies that the Armenian National Fireplace - for which a resolution had been passed a year early in favor of independence - should be reduced to a concentration of Armenians in an area of Turkey, under the law and the Turkish administration. Of his election in 1945, Catholicos Kevork IV poses the problem of Armenian territories of Turkey and the return of diaspora Armenians in Soviet Armenia, in a message published Etchmiad / in. Of the flax in the same year a decree authorizes the immigration of Armenians in the diaspora to Armenia. The operation of the return to the motherland will be over two years (1946-1948): return of 100,000 people. In Diaspora, the memoranda submitted to the major powers and the United Nations follow from 1945, on behalf of the Armenian National Front and the Delegation of the Armenian Republic. Following that publish the Soviet period, which support the claims in July 1946 and Armenian national tieoiiucnnes against Turkey, Vichinsky claims before the United Nations on 14 October 1947. Kars and Ardahan to Georgia. This claim put flax to twenty years of good relations between the USSR ei Turkey. Indeed, on 17 December 1925, a pact of friendship and non-aggression is signed between the two countries, then to the Montreux Convention in 1936, the USSR agreed that Turkey occupies Detroit "The deterioration of these relationships is caused by the declaration of neutrality of Turkey in June 1941 by signing a non-aggression pact with Nazi Germany and the prohibition warships to pass through the Straits From June 1945, the requirements of the USSR included, inter alia, recovery of the regions of Kars and Ardahan. These claims have reopened the question of territories among Armenians worldwide, through organizations of various nationalities, the Armenians of the Diaspora and the Soviet Union even gave their support to allow the immigration of between 100,000 Armenians the Diaspora in Soviet Armenia. Meanwhile, Georgians joined letus claims to those of the Armenians, with claims that included, among others, some of the areas required by the Armenians (which has so upset the circles of the Armenian diaspora that Georgia was forced to return on its applications). The USA has replaced the USSR for aid to Turkey in the form above and the Truman Doctrine Marshall Plan. On 8 August 1949, the USSR has waived claims located on the Straits el territories of the Turkish Anatolia. In 1953, Molotov confirmed this position by saying that Turkey, in the name of peaceful coexistence of peoples. Armenia and Georgia to renounce its territorial claims. Khroutchev did the same when he was placed at the head of the Soviet Union. Both in Soviet Armenia diaspora in the year 1965 marks a turning point in the propaganda of the Armenian issue. In the diaspora, the delegation of the Republic of Armenia who had filed papers, is pro-m-ssivement replaced by CDCA (Committee of Defense of the Armenian Cause), which makes contacts with several international organizations (American, South American, African) or governments generally support the Armenian Problem. For the first time in 1966, the Turkish Ministry of Foreign Affairs condemns, in a statement, the policy "anti-Turkish Armenian el Greeks, including the USA, 2 April 1967, the CDCA U.S. submits a memorandum "polite" to Turkish President D. Sunnay. On 29 April the same year in Montevideo, a meeting of parliamentarians of South-American vote by 96 votes against 16, with 1 abstention, the principle of supporting the Armenian issue when it is placed on the agenda of the 'UN General Assembly. This is achieved through the numerous meetings that the CDCA had with the presidents of Chile, Colombia, Paraguay, Peru, Venezuela el Brazil, August 5, 1970, the Uruguayan Parliament is in favor, 39 votes against with 6 abstentions, to present the Armenian issue before the UN General Assembly at the most opportune time, but the Armenians will realize that this has no practical value. In Beirut, following a protest of Turkey is a case filed in 1970 against the daily Aztag and Zartotlg accused of defamation against the head of the Turkish state in articles on the genocide of 1915. The verdict is delivered quickly in an acquittal. It is the banal opening of a memorial in a court of Armenian church in Marseille causing 17 February 1973, the severance of diplomatic relations between Turkey and France, to protest against the presence of a minister of France; the case has made some noise at the time el will be closed a year and a half later in November 1974 with the appointment of a new Turkish ambassador. The history of Paragraph 30 Finally, as regards any diplomacy in favor of the Armenian problem, is still valid. What is needed iélever is that. until September 1978, Turkey conducted an underground work before the debates at the UN, which is why this paragraph was removed from the report of a Subcommittee on Human Rights at the UN . In 1979, several interventions, at a further meeting of the Commission on Human Rights at the UN, support the reintegration of Paragraph 30, which cites the example of the Armenian genocide as a crime of genocide. Sevag is crucial in the event for the resurrection of nationalist sentiment. In the menu Meanwhile, during a ceremony as a moiativc-Spendarian Opera, with all the island authorities, Victor Hampartsoumian n'hésile not attack the Dachnagtsoutioun in describing its policy of avcntiu iste, no Reference is made to land claims. In lin island ceremony, a delegation of demonstrators enter into force in the room to deliver a memorandum. The senior lost by the exits and Catholicos invites the people to calm. It should be noted that the Soviet press does not give any details about the various events of the day. The authorization of the Kremlin to celebrate this! anniversary for the first time in Yerevan, is the efforts Zaropian island, first secretary of the Armenian PC, and lean the opposition for his second. Accuse island nationalism and for failing to ensure the smooth islands events Zaropian greyhound is replaced early in 1966 by Anton Kotehinian almost half Islands Member of the Presidium of the PC is dismissed, it is intéressanl to note that these purges have taken place a year after the events of 5%. It is believed that they were made in response to pressure from the Turkish government. In March 1966, the poet denounces Gaboudikian Sylva, in a violent speech, the silence of the Soviet press around the anniversary and the timing of the USSR signed a treaty of friendship with Turkey. It attacks the other hand, the Secretary of the Communist Youth for his islands to the events of 1965: actes nationalist anti-Soviet propaganda and political redress. She ended her speech by criticizing the authorities in Moscow for not having given the importance that Duke is the question of the territories occupied by Turkey. Ks in academia Armenian, rumors are circulating about possible decisions of the Supreme Soviet to make the el Kharabagfl Nakhijevan to Armenia. Several assumptions are made in this respect: among other things, to create a mixed state but none has succeeded. In December 1969, Anton Kotchinian, first secretary of the Armenian PC speaks during a week with the leaders of the Kremlin to revise the boundaries of Soviet Armenia: Affiliation provinces and Kharabagh Nakhijevan. Nothing came of this. In February 1967, 32 academic courses are excluded from political activities for t anti-Soviet and nationalist. " At the end of March of that year, the Armenian Minister of Culture launches with youth an anti-nationalist campaign led by the First Secretary of the Armenian PC. So far, the death of poet Barou Sevag in 1971 and the painter Minas Avedissian in 1975. remain mysteries. - Restoring the legitimate right to manage the nation by its own government. Its leader is Barou AIRIKIAN in prison since February 1970. A new form of action to silence about the Armenian issue is taken with the 1973 killing of two Turkish diplomats in Los Angeles by Kourkcn Yanikian. Diplomats from several other high level in the irais will, more often claimed by Armenian organizations, which advocate to continue their work in Turkey itself. Turkish pressure has led some Western governments to make arbitrary arrests, that of Max Hrair Kilndjian is the most striking example. Charged with attempted murder of the ambassador one in Switzerland, 6 greyhound 1980 he is currently imprisoned in Marseilles and remains available to the French court, pending the investigation of the case . Organizational structure of the F.R.A.D. The Congress of the F.R.A.D. adopt in Yerevan in 1919. return to a single office (the World), which remains in force. Previously, he had difficulty to communicate on the one hand, between Europe and Armenia occupied. under siege and permanent. on the other hand, the Armenian provinces struggle, forcing the party to create two, sometimes three central offices. Today, the single is elected every four years, after a World Assembly, whose work is mainly to study the new policy of the Party in the international political and Armenian communities. Several central committees are elected every two years in different parts of the world and bring together, in each, at least 500 militants. There are two in Iran, two in the USA. (east and west coasts), one in South America. France, Lebanon. In small communities, the Party is represented by a single Committee |. Under the authority of the Central Committee, there are committees or subcommittees as the number of militants. Under the responsibility of these committees, the sections are headed by local offices. In 1890. the Central Office was located in Tiflis (now. Tbilisi) and has authority over all committees located in Armenia, the Balkans and Russia Istanbul. In 1892, the first Assises confirm the centralized system of the Party until 1896. when the leadership is split into two, one which is based in Geneva (USA. Balkan countries. Istanbul, Cyprus, Egypt. Cilicia and Izmir), the other in Tiflis (historic Armenia, Russia. Baku Azerbeidjan Persian and Gharabaghi). Starting from 1913. three offices run the central F.R.A.D. The first, to Erzerum, has under its authority Armenia, which includes six villayets Armenians in Turkey and that of Trabzon, the second in Istanbul, covering the western sector (west Turkey and the diaspora) and the third , in Tbilisi. the East (Russia and Persia). This structure will be deteriorated because of the war and virtually nonexistent during the 1915 genocide. 1 "The creation of a free Armenia, independent and unified. 2 "Armenia is a republic, socialist, independent, whose boundaries are those defined by the Treaty of Sèvres. 3 "The genocide against the Armenian people must be made good by restitution of the territories which it was spolie and repair material arising. 1. Complete freedom of thought, speech, press, publication, conscience, assembly, organizations, activities and travel. 2. The inviolability of the person, home, correspondence and communications. 4. The abolition of all privileges of class. 5. The equality of national minorities and freedom of worship. 6. The elementary and secondary education compulsory, universal and free. Similarly, the opportunity to pursue higher education free for all who want it. 7. Equality before the law for all citizens. Justice through a public tics independent courts. The right to judge under oath: justice free. 8. A broad local autonomy. 9. Legislatures to draft laws and, in cases that require, for all the right to have recourse to a vote. 10. Insurance for all citizens against disability, accidents, illness and retirement. The Congress of the F.R.A.D. I "CONGRESS: Tillis, August-September 1892. Preparation Islands Constitution and the Rules organisatkmnel: Centralized (authors Ch, Mikaelian. '/. Rostom and married). Organization in Europe of the propaganda of the Armenian revolutionary struggle (Ch. Mikaelian is the responsible editor as a "Trochag" in Geneva). Approval of the Statute. Alliance with the Macedonian revolutionaries (Rostom travels in the Balkans). III 'CONGRESS: Sofia, February-March 1904. IV CONGRESS: Vienna. February 22 4 May 1907. H-i reliei ision of the Armenian Cause in Russia to that of Turkish Armenia. Adoption of a social status (authors of the text: Mikael Varantian, Aknoun and Ararailski) and accession to the II 'Internationale. Participation in the revolutionary movement in Persia. Collaboration with the opponents of the Ottoman regime. V 'CONGRESS: Varna (Bulgaria), August 14 - September 18, 1909. Limiting political action to Turkey Relations Jeuues-Tiwcs, legalization of the Party in its propaganda, self-organization of the Armenian poptdations. VI 'CONGRESS: Istanbul, 17 August - 17 September 1911. Study of national, cultural and political Armenians in Turkey: review of relations with the Young Turks, land issues. Support for the liberation struggle in Persia. VII CONGRESS: Garin (Erzerum), 17-24 August 1913. Study of national issues and political breakdown in relations with the Young Turks, with Kurds approach, land issues. VIII 'CONGRESS: Garin (Erzerum), July-August 1914. Organization for self-defense of the Armenians against the policy of terror Young Turk government: military and emigration. IX 'CONGRESS: Yerevan, September 27 - October 1919. Adoption of a minimum of government in the free Retna Republic of Armenia. Modification of structures in the statutes establishing a single office with the powers of an executive committee. Xe CONGRES: Paris. 17 November 1924 - 17 January 1925. Confirmation of the criticisms made at the Vienna Conference in respect of leaders who led the uprising of 18 February 1921 and in the Resistance. Ankerottr. Adoption of new regulations in a situation diasporiquc. XI 'CONGRESS: Paris, March 17 • 2 May 1929. Ways of struggle against Turkey. Support for the Kurdish liberation movement. Internal crisis caused by the Ch Natali. XII 'CONGRESS: Paris. 4 February - 21 March 1933. Anti-Turkish. Promote the return of Armenian-in Soviet Armenia, but their migration in the Middle East. Sanctions against militants supported Natali Ch. XIII * CONGRESSES: Cairo, 14 July - 12 September 1938. Setting up a structure to support the Party press, youth organization, etc..
XIVr CONGRESS: Cairo, September - October 1947. XV CONGRESS: Cairo, October 1951. XVI 'CONGRESS: Cairo. April 22 - May 22, 1955. XVII-CONGRESS: Cairo, 1-31 October 1959. Eighteenth CONGRESS: Beirut, 15 October - 13 November 1963. XIX-CONGRESS: Beirut, November - December 1967. XXI 'CONGRESS: 18 December 1977 - January 7, 1978. The F.R.A.D. published since its inception, more than 400 periodicals. Depending on the location of their appearance, they were designed to raise awareness of the Armenian Question abroad to sensitize the people on the occupied territories or to upgrade the Armenian culture in intellectual circles in the Caucasus. The Party leadership had its central Trochag (Flag), which was published in Tbilisi (Tiflis). then in Geneva, from 1891 to 1914 and again from 1925 to 1933 in Paris. From 23 November 1969. the F.R.A.D. 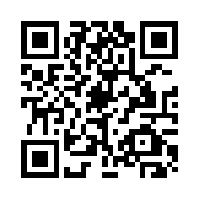 publishes Aztag Weekly. in Beirut, in the Armenian language only. Among the propaganda organs of the Armenian Cause. Log Pro Armenia (in Paris, from 1900 to 1907) is undoubtedly the one that was more about the Armenian people in France. through the collaboration of people such as Clemenceau. Anatole France. Jean Jaurès. Co-Denis and Francis CHLN of Pressensé. gathered around Peter Quillard. The F.R.A.D. has managed to surround himself with intellectuals, whose writings attracted readers wanting to read all their literature that the evolution of the Armenian National Problem. They had names for Roupen Zartarian (responsible for the daily Azadamard in Istanbul from 1909 to 1914). Hagop Siroun (Araz to Bucharest from 1933 to 1944). Roupen Tarpinian (the monthly Haïrénik in Boston from 1923 to 1969). Nigol Aghpalian (the newspaper in Tbilisi Horizon from 1909 to 1918). Chavarch MISSAKIAN (newspapers Djagadamard = Combat, in Istanbul from 1918 to 1922 and Haratch = Forward in Paris from 1925 to 1957). Simon Vratsian. Vahan Navassartian. etc..
Today, seven daily newspapers published in the Diaspora (the Party was banned in Soviet Armenia): Aztag (Rapporteur) in Beirut since 1927. Azad Gold (Freedom Day) in Athens (1944). Haïrénik (Motherland) in Boston (1899). Asbarez (Arena) in Los Angeles (1908). Armenia in Bue-nos Aires (1931). Houssaper (Bearer of Hope) in Cairo (1908) and Alik (Wave) to Tehran (1936) and six weekly: Weekly Aztag in Beirut (1969). Azadamard (Fight for Freedom) in Paris (1978), Horizon à Montréal (1979). Armenian Weekly, Boston (1933) and English editions of Asbarez USA and Armenia in Spanish South America. There are also monthly specific associations attached to the FRAD (scouts, youth, women, culture, etc..) in each country. In France, the monthly Haïastan is the organ of the FRA Nor Seround). The sister organization of the F.R.A.D. The Women's Union for Help Armenian (Blue Cross for France) is the oldest movement that is still in business. Founded in the USA under the responsibility of Aknoun in 1910, she led. at the time, a major social and charity for the new refugees, the Armenian volunteers or free the new Republic of Armenia. During the 20 years. it spread over Europe (France, Greece and the Balkans) and the Middle East. One of the proponents of this movement was outwards Archag Tchamalian. Today, the U. A.A. manages Armenian schools and colleges, camps for children, clinics and tirelessly pursues its social enterprise to the sick, the elderly and needy. The student movement began, of course, at the beginning of our century, with the powerful Union of Students Dachnagtsagans Armenians of Europe, but he had a life generally sawtooth. The U. E.A.E. comprised of men of great value to know the Armenian issue in Turkey; sections existed mainly in France, Switzerland, Germany, Britain and Belgium. Its activities continued successfully until the first World War, during which all students have volunteered to fight in the Caucasus. Since the 60s, the U. E.A.E. resumed its activities. In Beirut today. Union of Students "Zavarian" is a powerful organization from which the frames of the Party. Association Sportive du Homénetmèn was founded in 1918 in Istanbul. His popular success has never wavered during the 62 years of its existence, wherever it was extended to the four corners of the world. Champions international value were found in all sports. Scout Section is famous with several thousand members. All communities have a section of Homénetmèn; that is why rallies are held every two years. The Cultural Society and publisher of Hamazkaïn was founded on 28 May 1928. in Cairo by a group of Armenian intellectuals, at the head of which were Hamo Ohandjanian. Nigol Aghpalian and Levon Chantha. One of his first tasks is materialized with the opening of a college in Beirut on 3 March 1930 (nearly one thousand students are enrolled today). Drama, singing, music, dance are the main activities of the organization that are found in different parts of the world (South America. USA. Australia. France, Greece. Canada. Egypt, etc.). . The Hamazkaïn "today publishes books in several languages dealing with Armenian issues. He published the magazine Agos from 1944 to 1960. The creation of youth organizations in the diaspora is the result of a decision of a World Congress of the Party in 1938, though. already, the U.S.A.. movement has been established since 1933 by Karekin Nejteh after the war, associations are created under different names, but with the same goals (a cultural knowledge and awareness patriotic youth who will then distribute the problem Armenian outwards): Armenia in Latin America. Nor Séround France. Armenian Youth Dachnagtsoutioun of Greece. Houssaper Rostom in Egypt and Iran. Their structures, as with previous organizations are autonomous, with their direction, their manifestations, their press, their general assemblies, etc..
As part of the intensification of the struggle of the FRAD for solving the Armenian problem, she created in 1965 the Defense Committee of the Armenian cause who is the task of being the instrument of propaganda of the Armenian Cause and the driving force for mobilizing the community. The C.D.C.A. trying to gain alliances in political circles to obtain support for the resolution of the Armenian Problem. Propaganda C.D.C.A. also by organizing public events, whenever the political context lends itself to action to make the claims of the Armenian people vis-à-vis Turkey. For example. in many countries, the C.D.C.A. which organizes the 24 April. Another example to his struggle for rehabilitation of Paragraph 30, which ended in failure for Turkish diplomacy. The C.D.C.A. also leads to a iUNESCO to save the Armenian monuments neglected by Turkey. After the Russo-Japanese War of 1905, all the secrets of revolutionary Russia are out of hiding. The Armenian people could not remain a spectator. It was time to plunge into the mainstream. The FRAD-performed the synthesis of the Armenian issue and socialist ideology. An important debate took place within the Party. For the majority. socialist ideology would not solve our national problem. On the contrary, socialism advocated the liberation and independence of all oppressed peoples. Finally, after long and sometimes heated discussions, the FRAD was not content to be a nationalist movement but the party has embraced the notion of socialism in its liberation struggle of the Armenian people. Also in 1907, the F.R.A.D. she chose to join the International Socialist Congress in Stuttgart. After the failure of the first Socialist International in 1889. was created the Second Socialist International in Paris. For the first time the F.R.A.D. had its representative. Mikaël Varandian, the Congress of the Second International in Stuttgart. Until 1950. the F.R.A.D. has always been present in the Second Socialist International. Currently, F.R.A.D. order to reinstate the Second Socialist International, as an organization if not active, at least as a consultative member, which was dismissed in 1972. On the other hand, F.R.A.D. continues its efforts closer to the socialist and the socialist world in general. This is to raise awareness of our movement and to obtain the necessary support to the achievement of the legitimate rights of the Armenian people. By their geographic location. Armenia and Turkey could maintain relations of good neighborliness. However, by the crime that Turkey has committed against the Armenian people, it must conduct a struggle until the Turkish government to recognize the genocide and repairs, restoring the occupied territories to the Armenian people. Thus the F.R.A.D. seeks the return of territories entitled to the Armenian people. To do this, it works in politics and in particular to the United Nations and the States signatories of the Treaty of Sèvres. The F.R.A.D. is also conducting a propaganda scrubber recovery of Armenians in their national rights and to safeguard their national heritage. The F.R.A.D. denounces the attitude of Turkey, which continually violates the Treaty of Lausanne and the Helsinki Accords on the rights of minorities. The Armenian people joined the F.R.A.D. to denounce the military and financial support that the imperialist countries give to Turkey. We must intensify the struggle of the Armenian people against Turkey until the Turkish government recognizes and repairs the genocide committed by the government in 1915. The F.R.A.D. and URS. S.
It is obvious that the U. R.S.S. plays an important role for the Armenian people, given that three million Armenians live in Soviet Armenia and nearly a million and a half in the Soviet diaspora. However, despite the agreements signed with the Republic of Armenia, the independence and freedom in the Soviet Socialist Republic of Armenia are only empty words. Unlike communist principles of brotherhood and equality of peoples, historical Armenian lands (Kharabagh. Akhalkalakh. Nakhijevan) occupied by a large Armenian population were ceded to neighboring republics. These lands are the property of the Armenian people, the FRAD claiming the refund. On the other hand, the Armenians of the Diaspora Soviet, with the exception of Georgia, are totally deprived of Armenian schools and all facilities to enable them to have a community. On the contrary, the Soviet government undertakes efforts to stifle all feelings of cultural and national minorities. The same is true in Soviet Armenia, where Russification is one of the objectives of the central government. The F.R.A.D. protested against these acts which are contrary to the rights of peoples. With an area of 29,800-km (about 1 / 10 land ancestraies) SSR of Armenia is the smallest of the republics of the USSR It consists essentially of a series of plateaus with an average altitude of 1500 to 2000 meters, and that border between mountain ranges extending those of Asia Minor. The valleys of the Araxes and Zangou. who move between these plateaus are the main economic region. The soil is composed of Quaternary volcanic rocks, with a relief defendant and a vast expanse gritty. often called Armenia "Karastan''(country rock). There are in the country several extinct volcanoes, in particular the massive and large Alagueuz Ararat (5165 meters) in Turkish Armenia. Armenia is administratively divided into eight deal with a total of thirty-six departments (the latter established in 1969. Massis called). Its total population is 3,031,000 (census 1979): it consists, at 88%. Armenians and the other inhabitants are Russians, Kurds, Georgians, azerbeidjanals. Persians and Jews. The population density is about 100 inhabitants per square kilometer (high for a mountainous country). The economic boom has been spectacular over the past twenty-five years. The main effort focused on the hydro-electric territory (Central Kanaker).